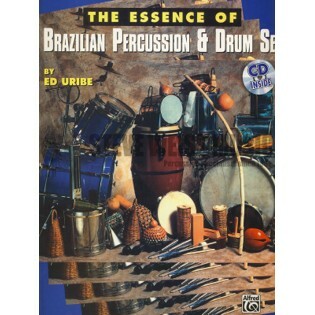 The Essence of Brazilian Percussion & Drum Set is Ed Uribe's study of the language of Brazilian rhythms and song styles. Part I deals exclusively with Brazilian percussion instruments, with a description of each instrument and its rhythms, song styles, techniques, and applications. Part II addresses the drum set. Each rhythm is presented separately with background information, musical examples, and exercises.